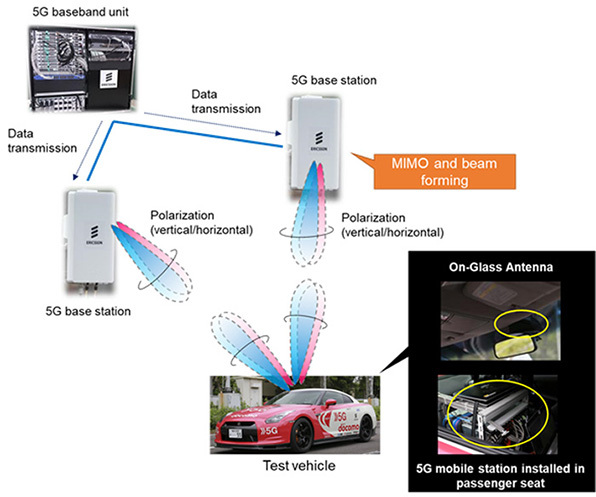 On Glass Antennas the key to the real "connected car"
In a field trial in Japan, DoCoMo, AGC Inc and Ericsson Japan have successfully achieved a world first - 8Gbps 5G comms with a fast moving car fitted with 5G 28 GHz On Glass Antennas (OGA). RF in the 28 GHz band suffers badly from propagation loss and is unable successfully to cover long distances. The trial took place at the National Institute for Land and Infrastructure Management in Ibaraki Prefecture. 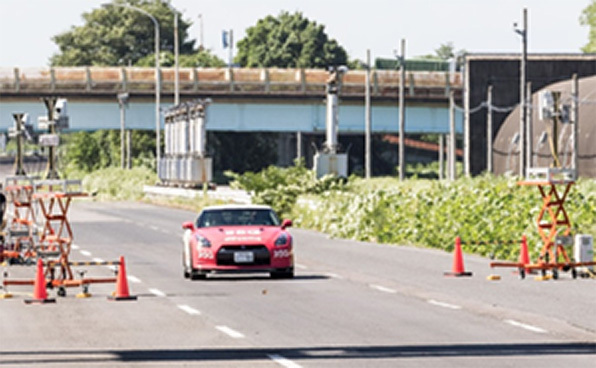 The test car was travelling at 100 kilometres per hour and during the trial a maximum comms speed of 8 Gbps was achieved. At the considerably lower speed of 30 km/h that maximum data speed increased to 11 Gbps. 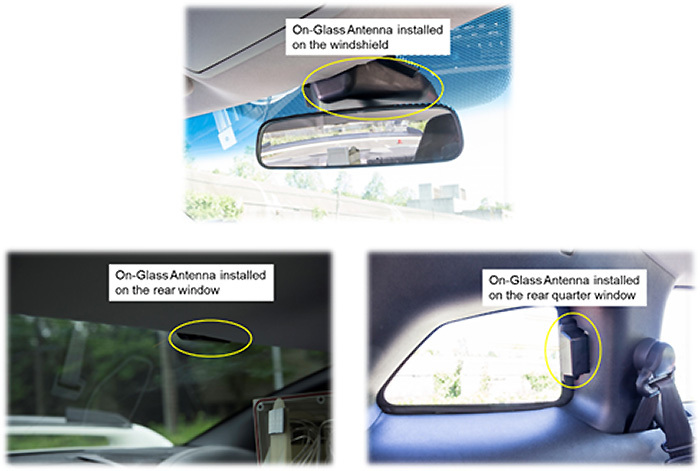 The moving test vehicle was fitted with a 5G mobile station to which eight OGA's were connected to the car's windscreen, side windows and rear window. The antennas are small, unobtrusive, easy to deploy and do not detract from the aesthetic design of the vehicles on which they are mounted. Three 5G base were also set up along the edges of the course. 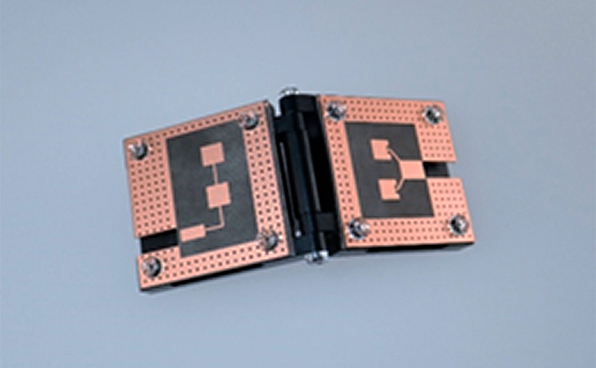 The OGAs received comms signals in combination with the MIMO function and the beam forming capability with four beams supporting both vertical and horizontal polarisation. 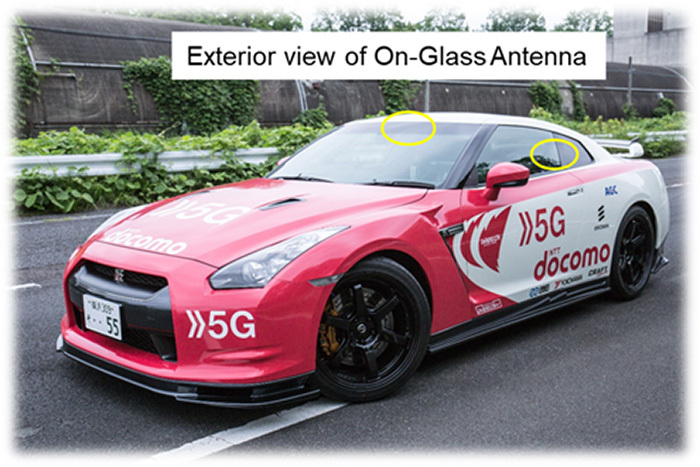 Tokyo, July 25, 2018: NTT DOCOMO, INC. (DOCOMO) and AGC Inc. (AGC) today achieved the world's first1 8 Gbps 5G communications with a fast-moving vehicle equipped with "vehicle glass mounted antennas" (On-Glass Antennas) in a field trial conducted in conjunction with Ericsson Japan.